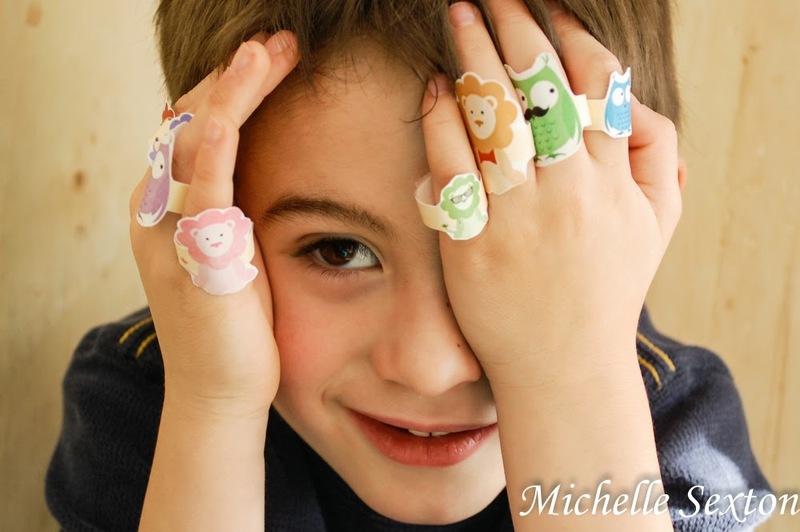 My name is Lindsey Casto, and I am an editor of AllFreeKidsCrafts.com. Nice to meet you! 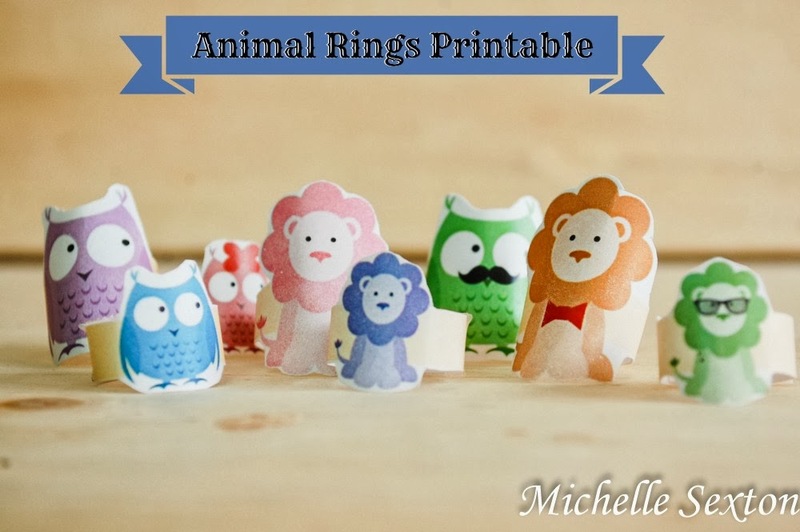 I'd love the chance to feature your Free Paper Animal Rings Printable tutorial on my site with full credit to you. 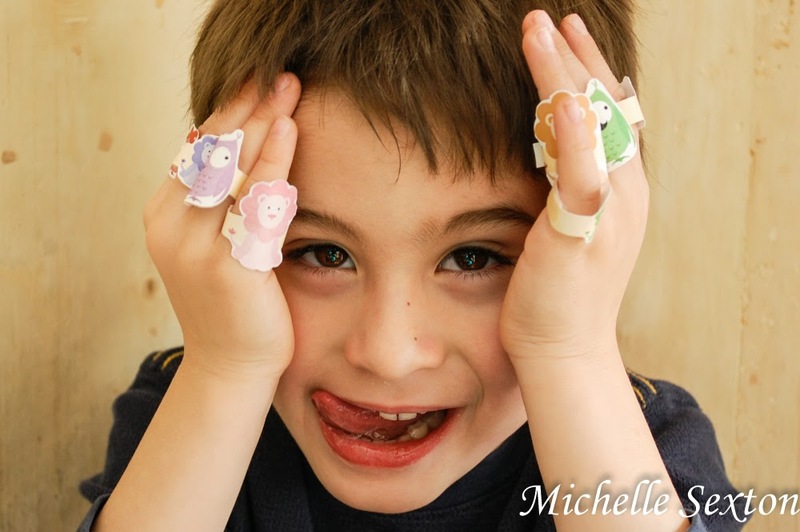 If granted permission, I would feature one photo and a link back to the tutorial on your blog. Please let me know if you are interested in being featured! You can learn more about us at www.primecp.com. So freaking cute. My son is gonna dig these. 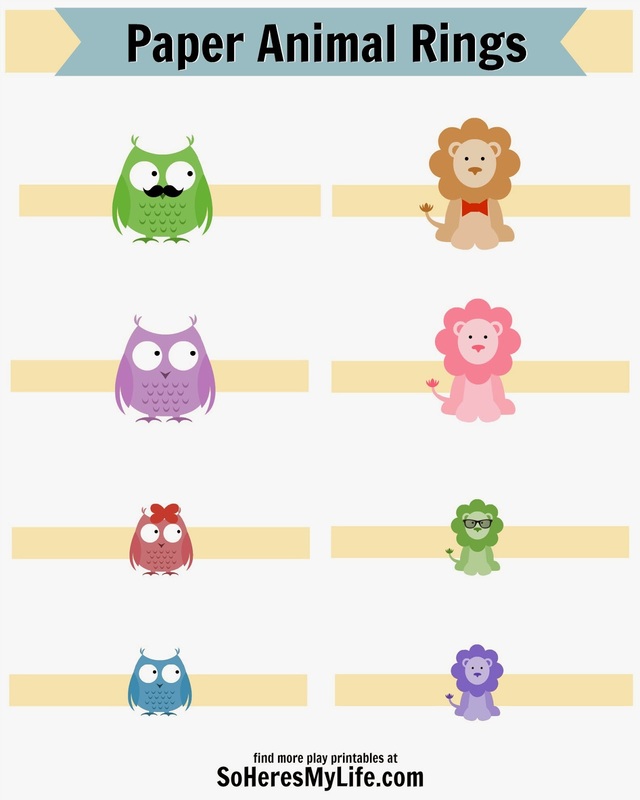 I love this printable, but I can not figure out how to download the pdf! could you help me? thank you! I'm sorry you're having trouble! Try this link, it may work better. Thank you for your kind answer, Michelle, but I am afraid this link does not work either: after registering it gets me to a survey which does not work on any browser I use, and it does not start the download. Maybe the problem is that I connect from Europe? You shouldn't have to register to download the file from Docstoc, or get a survey for that matter. You might want to scan your computer for malware. I use the one from MalwareBytes.org, myself. It's a good one. The last link you posted worked fine! Thank you very much! 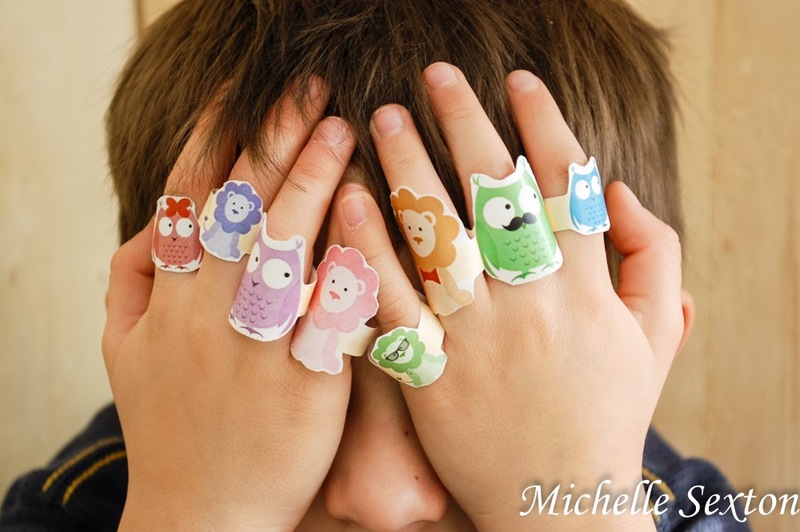 I am now going to make these lovely rings for my niece! Thanks again! What a wonderful idea! Absolutely love it!!! I will take them into my Crafty Afternoon as a very special treat for my students this Friday! I cannot wait for their reaction! Thank you for sharing! If you don't mind and if I can make it then I will take pictures and share them in my workshop section http://hattifant.com/workshops-in-bangkok/st-andrews-international-school-bangkok-term-ii-2014/ of course with full credit and link back to your blog!